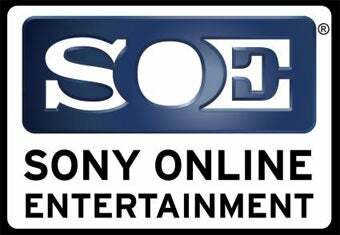 Sony Online Entertainment rallied its players in support of earthquake-ravaged Haiti last weekend, leveraging the allure of exclusive in-game items to raise $25,000. MMO players are as charitable as they are in-game exclusive crazy, as SOE proved over the weekend. From January 15th to the 18th, players of EverQuest, EverQuest II, and Free Realms were invited to purchase special items from the games' in-game Marketplaces, with the company donating $10 for every item sold to the American Red Cross' aid efforts in Haiti. Players could choose from the Haiti Relief Plush Bear in EQ, the Protectors of the Faydark Crate in EQII, or Zando, the spiked T-Rex in family-friendly Free Realms. Items were sold for 500 Station Cash apiece, which equals around $5 in real money. "In just three days we were able to reach our goal of $25,000 and it's all because of the generosity of our players," said John Smedley, president of Sony Online Entertainment. "They really stepped up for a good cause and we're proud to lend support to the estimated 3 million Haitians affected by the recent earthquakes." This is Sony Online Entertainment's second charity project of 2010, with its month-long Child's Play charity drive generating $26,900. The Haiti drive generating nearly that in only three days says something about both the dire situation in the island nation, and SOE fans' love of in-game swag. We'll go ahead and assume it was mainly the former.